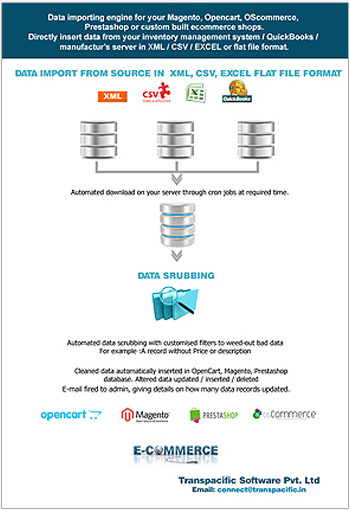 Automated data import solutions like File2Cart.com seldom work correctly. Each shopping cart has its customized needs and customized attribute sets. We give you a complete customized solution in open source, developed and tested only for you. The customized data import solution include importing products, product images, categories from .xml, .txt and .csv to your shopping cart which may be in Magento, OpenCart, Prestashop, shopify, cscart or OScommerce. The solution is permanent one time cost. You don't have to pay monthly charges or pay per product imported.